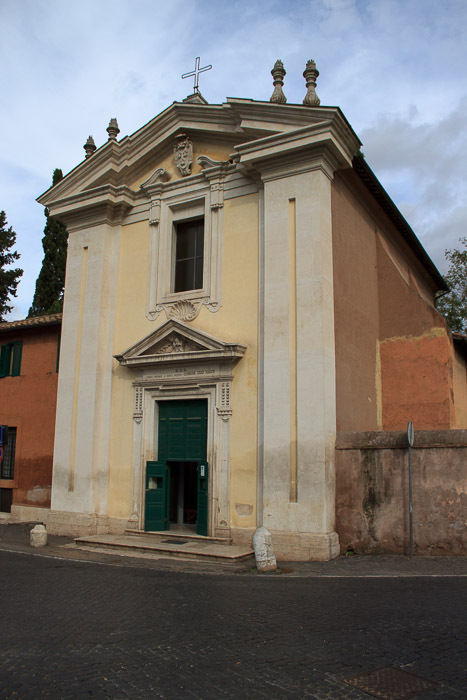 Chiesa del Domine Quo Vadis (1st photo below) is a tiny church near the start of the Appian Way. It was built on the site where St. Peter saw a vision of Jesus while St. Peter was fleeing the persecution of Nero in Rome. Peter asked Jesus, "Lord, where are you going?" (latin: Domine quo vadis?). Jesus answered "I am going to Rome to be crucified again." Peter returned to Rome, where he was crucified in about 64 AD by the emperor Nero in the Circus of Nero, which became the site of St. Peter's Basilica. 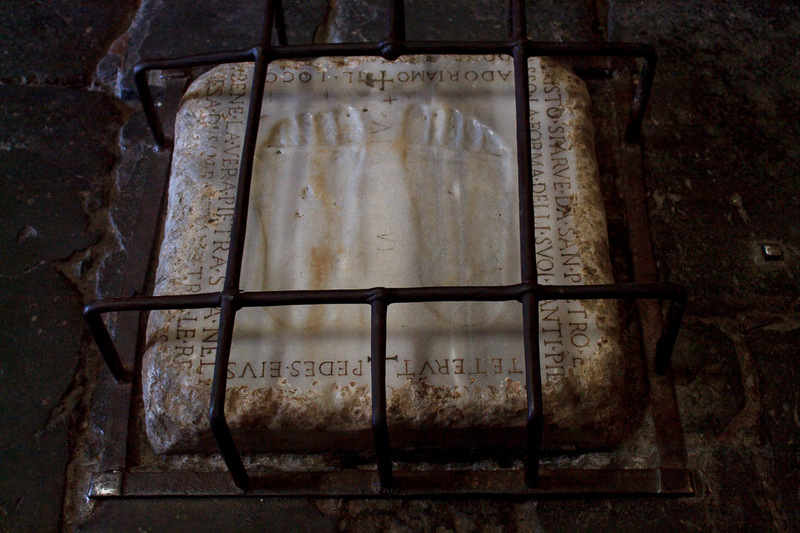 Inside the nave of the Domine Quo Vadis church, you can see a stone with the footprints of Jesus worn into it (2nd photo below). See all Domine Quo Vadis photos.